CONCERT ADDICT CHICK: The Wrong Year by The Decemberists (Lyric Video) - NEW! 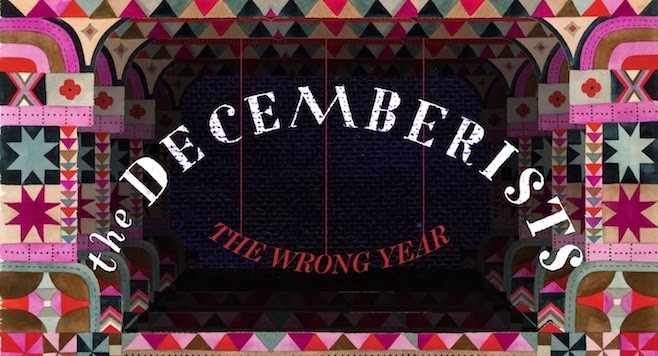 The Wrong Year by The Decemberists (Lyric Video) - NEW! The Wrong Year is the 3rd new track to be released from The Decemberists' upcoming 7th album What A Terrible World, What A Beautiful World. Keep an eye out for the full album on January 20th! My only question is why don't The Decemberists embrace their band name & release EVERY new album in December? It seems only logical!